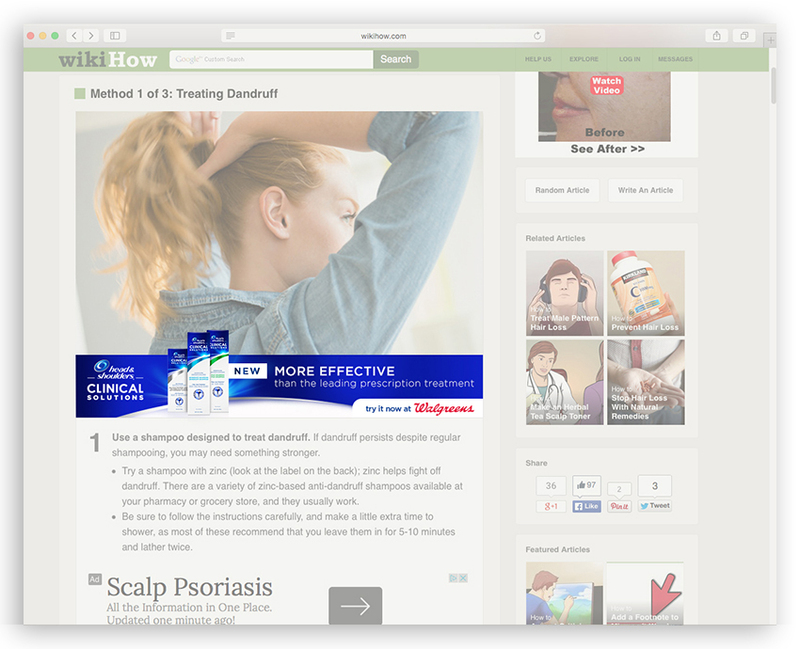 When Head & Shoulders invented a new, clinical line of products we convinced major retailers it was worth the additional shelf space with retailer-specific, integrated campaigns. At Walgreens we pushed effectiveness and solutions to align with their pharmaceutical expertise. For Walmart, we gave 'proof of value' in effectiveness and reassurance of quality. With a massive amount of choices at the shelf, deselection was also a priority. Competition was effectively pushed off the shelves for 2017 at these two giant chains. 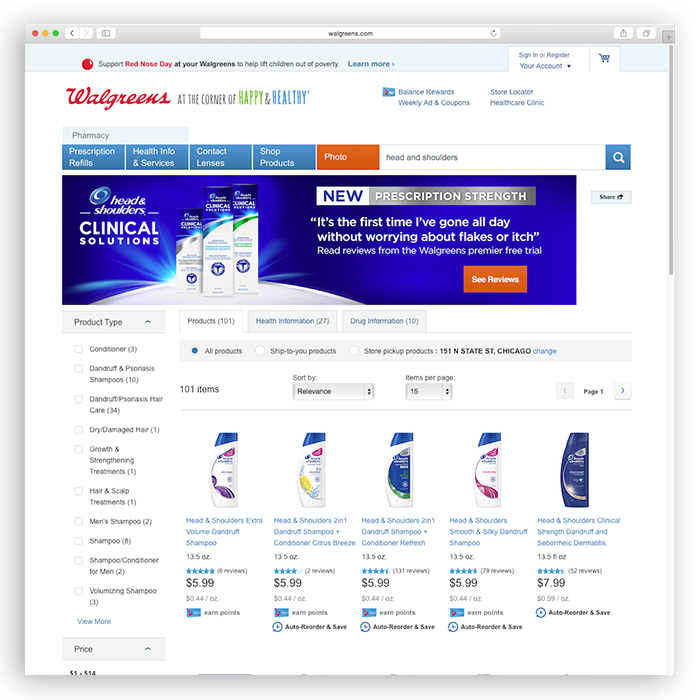 Pre-launch Trial: Walgreens could promote exclusivity and generate testimonials with this trial signup. 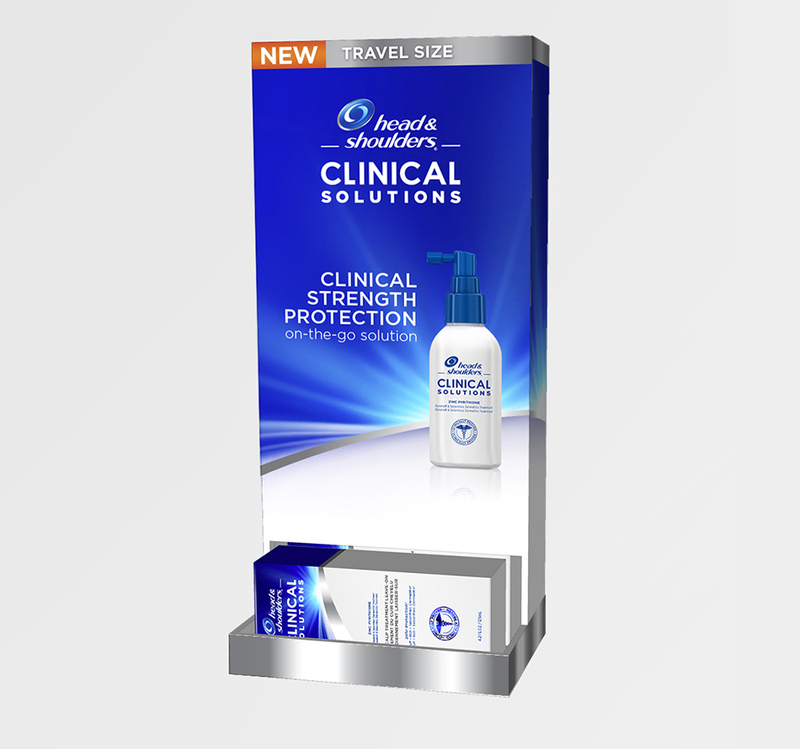 Gravity Feed Display: A pharmacy counter, grab-n-go solution. Pull-down Display: Leveraging Walgreen Answers program. Social Media: Combining Walgreens' look with our compelling claims. Exclusive Shelf Display: Only for Walmart, a regimen display with bonus product hero spot. Endcap: A product family story highlighting the newest offering. Custom Power Wing Display: Additional feature product location at the end-of-aisle hotspot.